Use of horticulture netting is one recommended means to protect plants, particularly food crops. Plant protection allows for better and improved management of weather, pests, diseases and weeds. Without proper protection crops can be damaged or their growth inhibited, which in turn results in low or no production. With the excelent protection your crops will get the best growth and the harvest will get a better quality. Suitable crop protection (like trellis netting) is essential to ensure production of better quality crops while minimal wastage is assured. Productivity increase results in fewer requirements for water, land and labor for planting and managing food crops. If less land is needed then biodiversity gets preserved and there would be assurance of less greenhouse gases emission. Additionally, it guarantees more food crops reaching the markets and shop fast and in good condition – this then ensures low priced and healthy food on the table. The need for horticulture netting is primarily caused by the need to protect crops from pests and the weather. The more advanced netting systems are also preventing the onslaught of weeds that potentially take away the nutrients that are supposed to be exclusively for the crops. Bird control has also necessitated it for the farmers and crop specialists to design and produce high quality and long-lasting netting as barrier methods against birds and butterflies. An effective barrier method is one that is designed to protect the plants while accessibility for watering and pesticide spraying are still guaranteed. With a barrier properly installed, crops are allowed to grow and propagate in a healthy and safe environment – one that is weed-free, disease-free, pest-free, and has sufficient sun exposure and increased aeration. The Horticulture trellis allow to the plant get a better develompment of the crops. Growing crops on horticulture trellis allows for increase in plant density because each plant is going to find vertical expansion surface on the horticulture netting. As the crop vertically grows, the flowers and the fruits of the plant get the much needed protection from accidental crushing – a possibility if farm workers walk along the grooves. Bigger flower pollination rate is also a guarantee when proper horticulture netting system is in place. Flowers are basically more exposed to insect attacks since leaves have no ability to completely cover them. By making sure that crops are protected from accidental damages the plant’s lifespan extends and therefore fruit production increases. 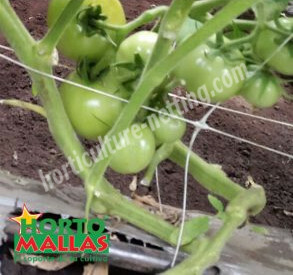 Obviously, the principle of horticulture netting is to provide a physical barrier that pests (birds, deer, rabbits and the like), insects and weeds cannot penetrate and attack, while rain, sunlight and natural air flow are still allowed access. A properly installed crop netting system allows penetration of 70 percent natural air flow and 90 percent of rain and sunlight. This method creates microclimate, which is recognized to be responsible for maximized plant health and production. Trellis netting is beneficial for achievement of normal moisture levels or conditions, as well for sufficient supply of shading and shelter. Aside from being able to provide an effective bird control method, installing netting mesh also helps in reducing the range of temperature between daytime and nighttime. Horticulture netting is essential for food crops, particularly those without synthetic pyrethroid or approved agrochemicals that could have helped in controlling insect pest attacks. Besides, the Horticulture net, too provide to your crops a good protection against the prescence of the insects or birds. Aside from birds and butterflies, horticultural netting systems are also designed to provide crops with sufficient protection from attacks from other crop insects like; cabbage root fly, aphids, flea beetle, thrip and carrot root fly. The increase in the need to use crop netting methods gave way to increase in demand for durable, effectively and long-lasting horticulture netting systems. Aside from the more popular vertical netting systems, horizontal netting has also been gaining popularity because this system is recommended for tutoring. 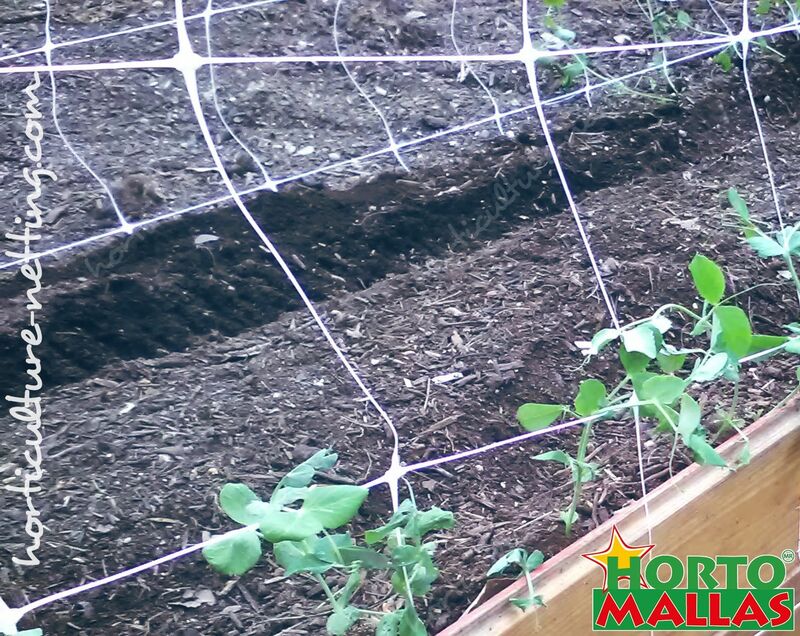 Horizontal netting can be installed several layers at one time or the first layers can be moved up as the crops grow. Presently, horticultural netting is available in several types and most are designed for multiple re-use. By producing nettings that can be re-used, the manufacturers are providing the farmers with crop protection that are long-lasting and durable. These products do come in higher price tags of course, but the durability and the reusability features will surely outweigh the cost in the long run. Advancements in technology and creativity also made it possible to produce lightweight nettings. Some of these are even designed specifically to protect the crops from rabbits, deer and debris. 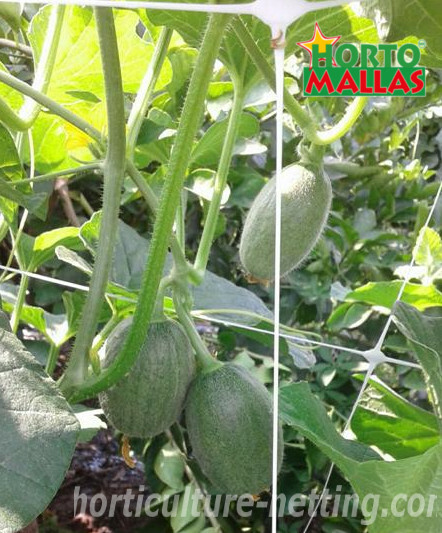 The Horticultura trellis allow to your crops to get a better develompment and quality in the harvest. 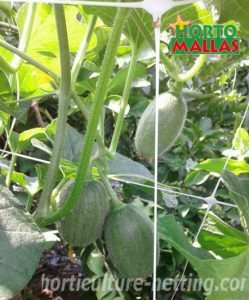 Cucurbitaceaes (gourd family and cucurbits like squash, zucchini, pumpkin, watermelon, cucumber and calabash) develop well when there are proper trellising systems installed. This kind of protection allows these crops’ vines and branches to securely attach their plants to the nearest structure they can find. Well designed netting provides required support system for improved phytosanitary conditions and increased crop production. Snow peas, carrots, baby leaf, herbs, swede, cabbages, broccoli, sprouts and cauliflower also increase yields when they are trellised properly on the right netting system. Local farmers provide local communities with fresh and high quality produce. They make sure that every vegetable and fruit they have in their lands are properly taken care of so that they can harvest on time and with minimal costs and labor. Less labor and costs means these farmers will be able to sell and distribute their crops at highly affordable costs. Providing protection to crops is important. It is something that every fruit and vegetable farmer knows. If the crop production local industry is to stop using vegetable and fruit support net systems, there would be significant decrease in the choices of food that will be available to purchase on local levels. That would mean decrease in global crop yields by about a third. Major crop producers will still be able to produce and sell fruits and vegetables, but at exorbitant prices and possibly with questionable quality and freshness. Use of the effective support netting system allows local farmers to grow healthier crops. 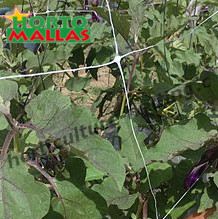 Therefore, advanced-designed horticulture netting is beneficial for all – crops, farmers, consumers and the environment.